This entry was posted in Pixel Scroll and tagged Apex Magazine, Arthur C. Clarke Center for Human Imagination, Benedict Cumberbatch, Disney, Dr. Seuss, Ellen Datlow, exoplanets, Fantastic Fiction at KGB, Galactic Journey, Gideon Marcus, John Scalzi, Marvel Cinematic Universe, Nicholas Whyte, Patrick McGrath, Rocket Stack Rank, Scott Edelman, SF Concatenation, Siobhan Carroll, Star Trek, Tove Jansson, Vernor Vinge, Vulcan by Mike Glyer. Bookmark the permalink. Why do scrolls keep slandering pixels? I’m absolutely sure that’s a pattern I’ve noticed. Might be falling asleep now. Or not. Who can say? Here in 5194, these things are a bit arbitrary. 13) I liked the story I read yesterday about scientists giving MDMA to octopi who then proceeded to behave like hippies at Woodstock. 8) GRRM’s 70th birthday was even mentioned in my local newspaper (which normally prefers to ignore that SFF exists), together with a nice profile. @1: the mutilation of Vinge’s title A Fire Upon the Deep is in the original — sloppy of them. @8: and a fonto merges The Armageddon Rag (which AFAICR shows no connection to any other GRRM work) with The Dying of the Light. edit: Fifth! Am I coherent? will check back in a few days…. At $8 **per month**, I’m not surprised they’re having trouble selling the print-edition subscriptions. OTOH, I did buy a Kindle digital subscription ($1.99/mo), which was very reasonable. (17) SORTING OUT SESAME STREET. As someone already pointed out somewhere today: Kermit and Miss Piggy clearly do have sexuality, so the “they’re puppets, and puppets don’t have sexuality” rationalization handed out by SS doesn’t hold water. 12) Your confidence is well-placed, sir! Here in SF we consider SJ to be very firmly in the hinterlands, as immortalized in “Do You Know The Way To San Jose.” However, some consider SF to be full of people who are so pleased with themselves they sniff their own farts, so there’s that. I wish the press would stop salaciously conflating marijuana and CBD in their all consuming thirst for clickbait. CBD is strictly the “body high” portion of the formula, and equating it with the psychoactive THC portion hurts people in no-cannabis states who don’t necessarily want to cop a mellow buzz but wouldn’t mind some pain relief. I’m thoroughly carnivorous but I am definitely in favor of reducing animal suffering (and I’ve avoided select-your-own-live-seafood restaurants since the day I was in a Chinese restaurant waiting for a table and a fish hurled itself out of the tank and bounced off my shoulder) (kill them in the back room please, and do it as quickly and painlessly as possible). HBD GRRM!! My favorite book by him is Fevre Dream, which had a romantic dashing crush-worthy vampire prior to Vampire Lestat (and decades before Edward Cullen). I finally got him to sign my copy a couple Worldcons ago. It should be a movie IMHO. I saw the Japanese movie of Comet in Moominland without having heard of the books–I found it especially weird, what with the talking (apparent) hippos, the unidentifible creatures and the small but loud and shrill talking (apparent) doll. ETA: wow, that wiki article really needs editing. 16) you can watch the rover images as they come in, by refreshing this page from time to time. New images show up about every half hour. 8) — Talbot Mundy was another writer of adventure fiction back in the 1920s & 1930s (like Harold Lamb) — many of his stories (which I admit I haven’t read, for the most part) featured a character nicknamed Jimgrim and were set in then-contemporary Afghanistan and similar parts. He also wrote King of the Khyber Rifles, likewise set in that part of the world. I believe a lot of his books had a certain amount of 1920s-style occultism or spiritism in them. All other things being equal, I prefer Harold Lamb, but Mundy’s not bad, and a good chunk of his work is available for free via Project Gutenberg. 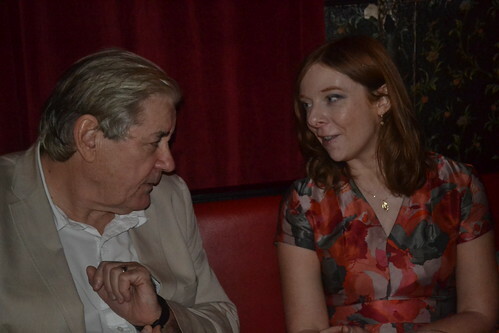 I also really like Fevre Dream. Vampires on paddle wheelers along the Mississippi is a nifty concept. My SO and I used to have a thing where we’d read each other alternating chapters out of a book at bedtime. That was one of the best ones to get that treatment. The differences between San Jose and San Francisco are pretty profound. San Jose is the older city you go to if you want wide streets that don’t smell like pee and crap. San Francisco on the other hand, has a rich tradition of diversity and and eclectic street life…which it destroyed and replaced with a patchwork switching between upscale mall and refugee camp. San Francisco long ago hit its limits for area growth. San Jose on the other hand, gobbles up neighboring communities like a phagocyte. Seriously, if you look at it on a map, it’s kinda bizarre. Have we all agreed to forget that The Children of the Sky happened? A scrollover between 1) and 4): A Deepness in the Sky reminded me of Moominland Midwinter when I first read it: everyone in Moominland/Spiderworld hibernates for the long Winter, but our hero wakes up and sees the frozen world which is not as empty as he expects. I seem to have a lot of comments on today’s scroll. 7) Be warned that the actual Book of Kells is like the Crown Jewels – locked in a display case with a stream of tourists queuing and filing past the glass. You will not get to examine it closely. But the visit is worth it to see the Jedi Archives. My favorite book by him is Fevre Dream, which had a romantic dashing crush-worthy vampire prior to Vampire Lestat (and decades before Edward Cullen). Interview With the Vampire was published in 1976. Fevre Dream was published in 1982. (8) GRRM’s Wild Cards series/universe also merits mention, and I’ll help myself to a wee nip by stating with great confidence my conviction that he probably won Bram Stoker awards. 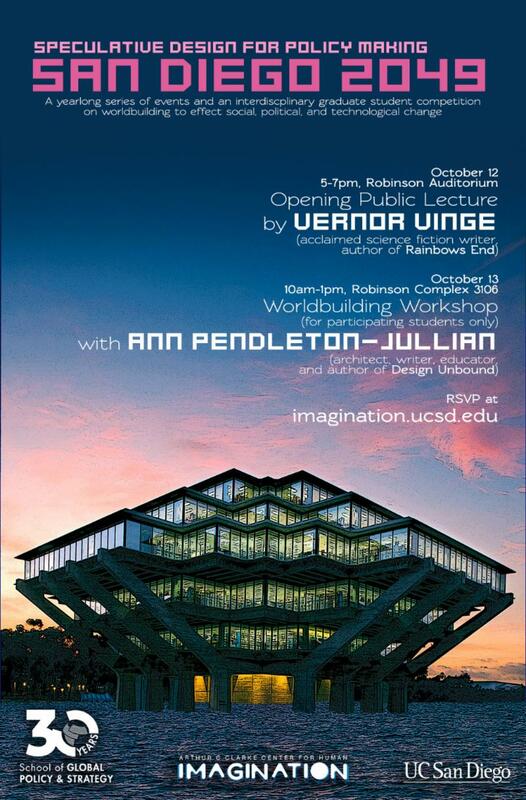 1) I love the picture of the UCSD library, which (as you know Bob) features prominently in Vinge’s Rainbows End. (15) As a current happy subscriber to Apex Magazine, my opinion is that $8.00 per month for a monthly SPecFic journal is an excellent price. Meredith Moment: Robert L. Forward’s Dragon’s Egg is currently $1.99. @James Thanks for the ‘splain but the novel The Vampire Lestat (by Anne Rice) came out in 1985. That’s the one where Lestat became a romantic rock star of a hero; he was a character in Interview With The Vampire but he wasn’t nearly as dashing. He suddenly got that way after GRRM’s book about Joshua York came out. Rice has said in at least one interview she also based him on rock star Robin Zander, at least as far as appearance. @Contrarius: Kermit and Miss Piggy are from the main group of Muppets, the ones owned by Disney (basically, the Muppet Show Muppets). Bert and Ernie are owned by Sesame Workshop (the Sesame Street Muppets). There’s only limited crossover between the two groups. That said, even some of the Sesame Street Muppets of long-standing are known to have romantic interests: Oscar the Grouch’s girlfriend is Grungetta (not sure of the spelling of her name), while the Count Von Count’s love interest is Countess von Backwards. Q is for Q, because why the hell not? Rev. 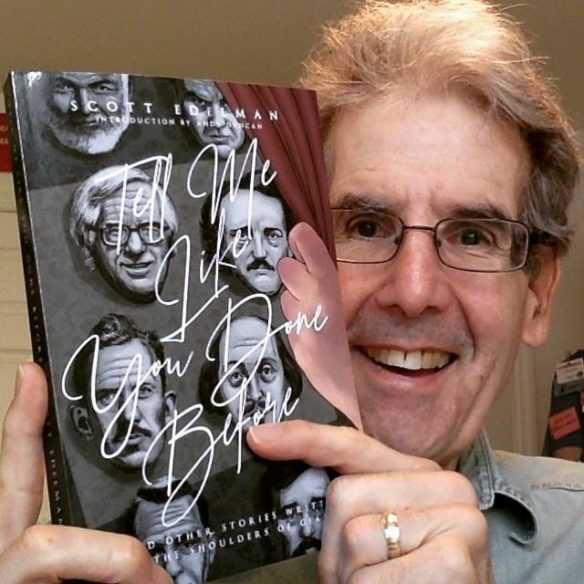 Bob says correctly GRRM’s Wild Cards series/universe also merits mention, and I’ll help myself to a wee nip by stating with great confidence my conviction that he probably won Bram Stoker awards. Yep. Now you tell my brain that. Post-dying and coming back to this reality it has an interesting tendency not to notice such minor things. Now if someone wants to volunteer to edit Birthday citations in early evening for correctness before they go to OGH I’d be very happy. @Cat, early evening in what time zone? Regarding the journalist of the local paper mistaking San José for the American hinterland, I suspect he had no idea how big San José really is and didn’t think to look it up either. Some time ago, I chanced to look up the biggest US cities and noticed to my surprise that San José ranks fairly high on that list, much higher than I expected. Though I do know that San Francisco is smaller than its reputation would suggest. Besides, in Germany the biggest cities are usually also the ones you’d expect, because they are well known. In the US, however, I find that beyond the top three, which are obvious, a lot of the biggest cities are not really the ones that are best known. For example, I’d never have expected San Diego, San Antonio and San José to land anywhere near the top ten (and I’ve been to San Antonio, albeit a long time ago, and it looked like a small town), whereas cities like Boston, New Orleans, Washington DC, Seattle, Miami, Atlanta, etc… which I would have expected to find in the top ten rank further down the list. @Cora Buhlert–Boston really is a typical, the smallest major city in the US. Part of that is due to idiosyncratic local historical reasons. There was a period when American metropolitan center cities were absorbing their smaller neighbors into larger, in many ways more rational for modernizing transportation and communication, municipal entities. Houston was especially successful at this, but it happened in most places. That process started in Boston, and many Boston “neighborhoods” used to be separate towns. Then the next town on the list to be absorbed was Brookline–and Brookline decided it would not be absorbed. They fought Boston to a standstill, and that was the end of Greater Boston’s urban consolidation. There’s also, of course, the Charles River, with Cambridge on the other side. I’m not aware of river-separated cities merging in the US, though I have the impression it has happened in Europe. The other unexpectedly small “major cities” likely have their own local historical and geographic oddities keeping the legal municipality smaller than the generally perceived city. However, it’s also pretty common for a state’s capital city to be fairly small, and some other city to be the big one in the state. Boston is unusual in that respect, too: the capital of Massachusetts, and also the largest city not just in Massachusetts, but in the entire six-state New England region. @Charon D.: I have to give San Francisco this, it’s difficult geography makes it one of the most distinctive cities in America. It’s a natural subject for pictures, and it’s worth it to travel up 101 and reach the south end of the city right at sunset, and watch the lights of the skyscrapers come on, possibly with fog pouring over the hills. It’s incredibly beautiful then. I admit that though they have history just as long, San Jose and Sacramento don’t have that very visible distinctiveness. It’s why I describe San Jose as San Francisco’s older, more respectable and less stylish sister city. Los Angeles is another example of growth by absorption, made more obvious because so many of the areas absorbed maintain their old names (easier for the post office) and still have business districts, occasionally fairly large ones. Here in 2659, we’re still trying to sort out some of the messes that made. We also have several cities which have metro areas that are a lot bigger than their official borders. Bremen is one fairly extreme example, especially since the surrounding metro area is actually part of a different state. I live about 6 kilometres outside the Bremen city limits in the metro area, but in a completely different state. Menawhile, the Ruhrgebiet is one huge metro area of several very big cities basically bleeding into each other. This causes frequent issues with regards to the distribution of taxes, payment for services… Quite often, the problem is that a lot of the services for the entire region such as hospitals, theatres, museums, universities, etc… are concentrated in the city, whereas a lot of people live in the suburbs and many business and industrial estates are also outside the city limits, which means basically that the city has to pay for the services, but the tax base is outside. This is also why it’s difficult for cities to officially gobble up neighbouring communities in the metro area, because the county these communities belong to doesn’t want to let lucrative communities go. For example, I live in a county called Diepholz. The county seat is 60 kilometres away, while the Bremen city limits are 6 kilometres away. And though the county is called Diepholz, the vast majority of its inhabitants live in a couple of communities just outside the Bremen city limits. But Diepholz sure as hell isn’t going to let us go, because we bring in the tax money. Historically, German cities have gobbled up neighbouring towns and villages, e.g. Hamburg gobbled up Altona, Blankenese, Willemsburg and many others. However, the big cities haven’t really expanded their territory post 1945, even as their metro areas grew. We did have a bunch of reforms in rural areas in the 1960s/70s, where several small villages were combined into bigger communities (I grew up in a construct of 7 villages artificially combined sometime in the 1970s) and sometimes even smaller counties were combined. For example, the county Diepholz, where I live, resulted from a merger of the counties of Diepholz, Hoya and Syke sometime in the 1970s. For reasons no one understands, the new county was called Diepholz, even though Syke and Hoya were more populous. A lot of times, these newly created communities and counties cut through historical borderlines. For example, the seven village construct in which I grew up straddles the borderline between the old kingdoms of Hannover and Oldenburg, which a lot of older people didn’t like at all. The new county Diepholz straddles the borderline between a historically Catholic and a historically Protestant area. People often don’t identify with these entities either. No, the Constitution said that a Federal District may be established, and limited its size (not over 100 square miles). Its location and boundaries were established by later statutes. I wonder in what alternate universe an urban coastal area which is the center of a world-changing industry is a hinterland? Aargh! I checked three times, but some things always slip through… Sorry! I’m quite familiar with that situation myself. Chattanooga is the fourth-largest city in Tennessee, at least by population, and it sits right on the junction of Tennessee, Georgia, and Alabama. The metro area extends into all three states, and the city proper occupies both sides of part of the Tennessee River. On top of that, the TN-GA state line runs right through Lookout Mountain, meaning one can move a few streets over and change states while staying in the same city and on the same mountain. (Okay, yes – technically Lookout Mountain, TN and Lookout Mountain, GA have all sorts of low-level differences owing to being on opposite sides of the line, but driving through the place, you’d never know.) The Chattanooga metro area is quite the sprawl, but it pales next to Atlanta, which I imagine you’re more familiar with; it incorporates most of central Georgia. Chattanooga’s metro is just (IMO) more interesting in that it straddles so many borders. Here’s the funny part. The literal cities of Chattanooga and Atlanta are about 120 miles apart – two hours by car, sometimes three if traffic is bad – but their metro areas are only separated by a few miles, if that much. The southernmost county in Greater Chattanooga and the northernmost in Greater Atlanta both abut the same two counties. Those counties, in turn, share a tiny border, and that short gap is all that separates the two sprawls. It is not likely to be very long before one metro area or the other gets extended into one of those counties (probably by Calhoun, GA getting added to one of them) and “Chatlanta” becomes a serious concept. I think that sort of situation is getting more and more common. Refer to Kansas City, KS/Kansas City, MO and Memphis, TN/West Memphis, AR and so on. I live in northeast NJ, which is part of Metro NYC. Southwest NJ is part of Metro Philadelphia. The Northeast Corridor in the U.S. includes Metro DC, Baltimore, Wilmington, Philadelphia, NYC, Hartford, Boston. Probably some smaller urban areas I left out. But it all kind of runs together. I grew up in and still live in Orange County, California. It was a mostly rural and agricultural area with a bunch of small cities like Santa Ana, Huntington Beach, Anaheim, etc. when we moved here in 1955. There is almost no agriculture left and all the cities run together without gaps, just a sign like ‘Welcome to Anaheim’ to let you know where the borders are. Almost all the cities in Orange, Riverside, Ventura, San Bernardino and LA counties have just become part of the Los Angeles metro sprawl, although they retain their individual names and bureaucracies. The actual City of the Angels has near 4 million residents, the Greater Los Angeles area (includes all surrounding counties) is pushing 18 or 19 million. We probably won’t merge with San Diego County any time soon because of the huge Pendleton Marine Base between us and them, plus the whole desert thing to the east of all of us. We ARE urban sprawl only beaten in population, in the US, by NY. Traffic is a nightmare, but I wouldn’t move. This is my ‘hometown’, too old to start over, the weather’s still better than most places, many fewer insect pests, can sit out on patio for drinks and food almost all year, just about everything and anything is available 24/7 and most of my friends are still here.